Since the late 90's the quarter has become very popular amongst collectors with the inception of the State and National Parks Quarters. 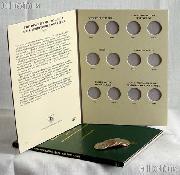 These sets are perfect to start the kids and grand-kids with their first coin collecting kits. With such a wide variety of designs, these coins are a great way to spark their interest and share your passion for collecting coins. These sets are a great way to start your collection for a lifetime of fun a Since the late 90's the Quarter has become very popular amongst collectors with the inception of the State and National Parks Quarters. 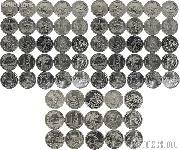 These sets are perfect to start the kids and grand-kids with their first coin collecting kits. With such a wide variety of designs, these coins are a great way to spark their interest and share your passion for collecting coins. These sets are a great way to start your collection for a lifetime of fun and entertainment!